Mallorca In total around 4.000 m2 built with around 100 ha plot , Residence contain botanical gardens, waterfalls and a thousand-year-old yew - there is a 1.2 km signed walk. education center, and meetings point for your foundation branch. owned by various noble families; most of what you see today dates from the 17th century. When Jaume conquered Mallorca he divided the island into four feudal estates, giving one to Count Nuno Sanc, who settled this residence. In 1239 the Count handed the estate to Cistercian monks to found Mallorca's first monastery. 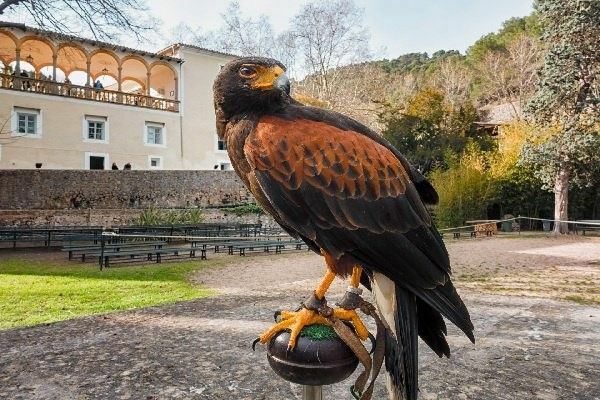 Highlights of the tour include an aristocratic drawingroom with its own theatre, the family Chapel and a dungeon with a torture chamber, but the real reason for visiting this residence is to learn about rural Mallorcan traditions. Workshops, cellars and kitchens contain displays of everyday objects. Residence contain botanical gardens, waterfalls and a thousand-year-old yew - there is a 1.2 km signed walk. In total around 4.000 m2 built with around 100 ha plot.